This non-closing sink drain is designed for use in sinks without an overflow. 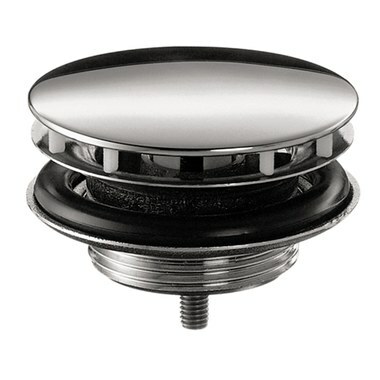 The drain has a 1-1/4" OD and 2-1/2" diameter cap. WARNING: Click here for Proposition 65 information. WARNING: This product can expose you to one or more chemicals, including lead, which are known to the State of California to cause cancer and birth defects or other reproductive harm. For more information go to www.P65Warnings.ca.gov.